Located near the eclectic 9th & 9th neighborhood in Salt Lake City, Tulie Bakery is a foodie paradise. The bakery’s focus on high-quality ingredients, mixed with the skills of culinary artistry, is the recipe for some wonderful creations. Start in the morning with a gourmet coffee or drinking chocolate of your choice, and add a breakfast pastry: croissant au amande, pain au chocolat, croissant with egg, or gougÃ¨re, to name a few. 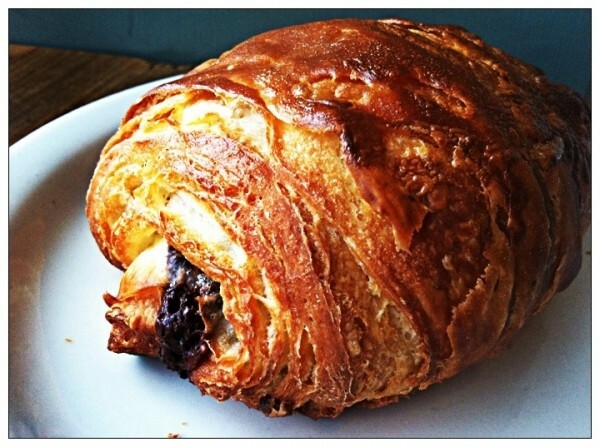 They are all delicious, made fresh daily and highly addictive, but the pain au chocolat is at the top of the list. It has a crusty, golden-brown exterior and a warm, soft interior. Nearly hidden from sight—but not from taste—is the layer of chocolate. It’s rich, deep and will leave you contemplating daily return visits, budget be damned. After your pastry appetizer, pick up a sandwich. It’s another selection where it’s hard to go wrong. When I visited, the croque monsieur was calling out loud and clear. It has béchamel sauce, Gran Biscotto ham and GruyÃ¨re on a thick slice of housemade baguette. The crunchy bread was the perfect resting place for all the ingredients. Gran Biscotto is the most famous and best-selling cooked ham in Italy—not hard to believe, seeing that there is a lot of flavor packed into that thin slice of meat. When it’s topped with the mild and tasty GruyÃ¨re and warmed in the oven for eight minutes, you have yourself an open-faced sandwich delight. The croque monsieur was like a quiet walk in the woods on a cool fall afternoon: There are a lot of things to grab your attention, but no single element overpowers the others, combining for an unforgettable experience. You can return to Tulie for cupcakes, cookies, cakes, tarts, soups and salads, but pace yourself. If there is too much of a good thing, I don’t want to find out.